Since 1995, our family's been carefully handcrafting natural, scratch made soaps and body care products featuring responsibly wildcrafted and organically grown botanicals that are safe for all living things and a joy to use. To give back, a portion of our profits are donated each year to the Lady Bird Johnson Wildflower Center, Western National Parks Association, and Clean the World. We also operate a Kiva micro-lending group year 'round called Wild About Good™ where we donate 100% of the profits from our popular Real Castile Soap to lift people up from poverty worldwide. Our premium handmade products are moisturizing, biodegradable, cruelty free, minimally packaged, and they do not contain any synthetic fragrance oils or other harmful chemicals to get in the way of your family's health. 100% of our vegetable oils are certified organic because organic matters. The sustainable organic palm oil we use is from Colombia and it's Roundtable on Sustainable Palm Oil certified as well as Rainforest Alliance certified. A Wild Soap Bar is certified cruelty free by the Leaping Bunny program and also P.E.T.A. 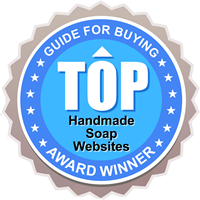 as well as being a long time member of the Handcrafted Soap & Cosmetic Guild and the Indie Business Network. We try to be mindful of every purchase we make and every action we take as we strive to support fair trade, organic, and sustainable businesses.